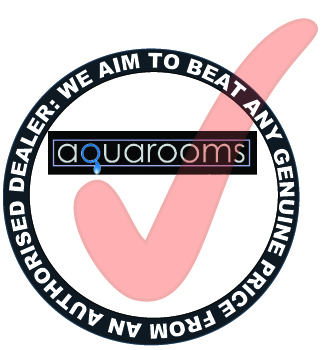 All the products sold at Aquarooms are supplied directly by the manufactures or authorised suppliers of the manufactures we do sell goods through 3rd party sources, giving you piece of mind that all manufacture guarantees and warranties are fully supported. In the unlikely event of you finding a cheaper price from one of our high street competitions, we promise to price match any written quotation supplied for the exact product match before point of order. So rest assured when you place an order you be confident you are getting the best deal available.